Dr. Jill Shainhouse is one of the few naturopathic doctors in Ontario to obtain the highest standard of training in naturopathic oncology, and has successfully completed separate board examinations to obtain the FABNO designation (Fellow of the American Board of Naturopathic Oncology). 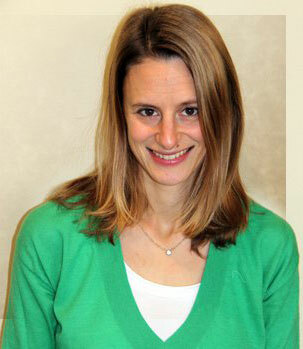 She has over 12 yrs experience in clinical practice. Her interest in supportive cancer care began as a naturopathic medical student after making the observation that there was a great need for naturopathic doctors well-versed in providing safe and correct advice to patients receiving chemotherapy and radiation. Dr. Shainhouse received her Honours Bachelor of Science degree from the University of Western Ontario prior to graduating from the Canadian College of Naturopathic Medicine. She was on staff at Toronto’s Medicor Cancer Centres as the first naturopathic consultant when the clinic first opened in 2007. With her mentor, Dr. Peter Papadogianis in 2007, Dr. Shainhouse began the Adjunctive Cancer Care Program at the Canadian College of Naturopathic Medicine (CCNM). Best practices, knowledge of current therapies, as well as safety in combining natural therapies with conventional therapies is the number one priority of an ND who has completed the Fellow of the American Board of Naturopathic Oncology designation. In addition to maintaining a private practice at Bayview and Eglinton Dr. Shainhouse continues to supervise the Adjunctive Cancer Care shift at the Robert Schad Clinic, the teaching clinic of the CCNM. Dr. Shainhouse’s goal in helping cancer patients is to provide safe and effective support during or after conventional therapies such as surgery, chemotherapy and radiation. To provide effective integrative oncology care, Dr. Shainhouse attempts to communicate directly with medical, surgical or radiation oncologists, or other healthcare providers such as hospital pharmacists. She is passionate about educating the public and “bridging the gap” between conventional and adjunctive oncology to provide her patients with the best possible outcome. Dr. Shainhouse is a regular lecturer at Gilda’s Club and all Toronto locations of Wellspring Cancer Support Center. She also volunteers for ReThink Breast Cancer as their naturopathic advisor. On Sept 30, 2013, Dr. Shainhouse presented at the Oncology Grand Rounds at the Odette Cancer Centre (Sunnybrook Health Sciences Center). In the spring of 2014, she created an observation program at Sunnybrook Hospital’s Louise Temerty Breast Cancer Centre as a learning opportunity for her Adjunctive Cancer Care Program Interns. The clinical observation program at Sunnybrook is ongoing, providing learning opportunities for interns, resdients and staff. Dr. Shainhouse is additionally certified in intravenous therapy and has completed additional training in central vascular access and advanced parenteral therapy. She was the previous Integrative Medicine section editor of Current Oncology’s Cancer Knowledge Network. Dr. Shainhouse is a member of the Ontario Association of Naturopathic Doctors, the Canadian Association of Naturopathic Doctors, the Oncology Association of Naturopathic Physicians. the Society for Integrative Oncology and the International Society for Orthomolecular Medicine.